Sometimes I feel like the world of medicine is a backwards place. 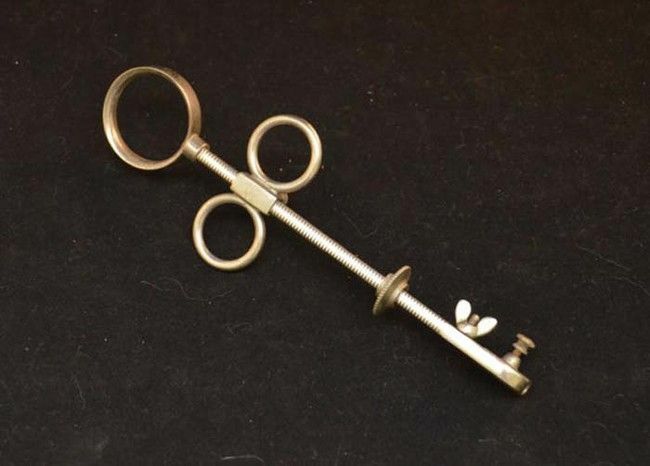 I had a recent experience with an othopedic surgeon who was assessing my knee injury and he eyeballs me- saying, “Convince me you need to be here.” i.e. getting treatment from his office. Ummm, excuse me buddy, but that’s not really how this works. If I don’t have to waste my time and money here, then I sure as heck won’t. Pffft! Whatever. So, that in addition to a link my friend Mary P.K. 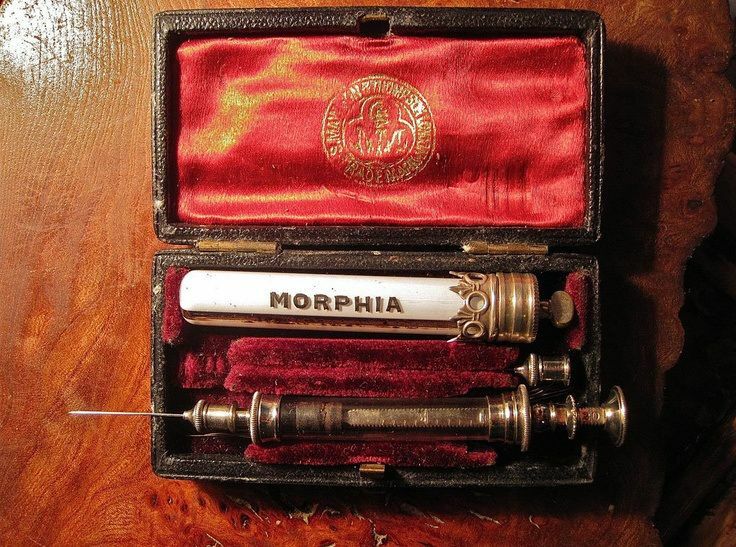 sent my way got me on a research tangent to see what horrors the medical world used to offer as legitimate treatments. 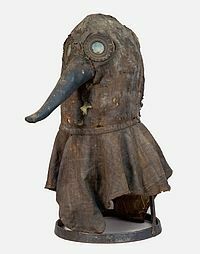 Here are 5 of the most bizarre/disturbing/interesting ones I found. 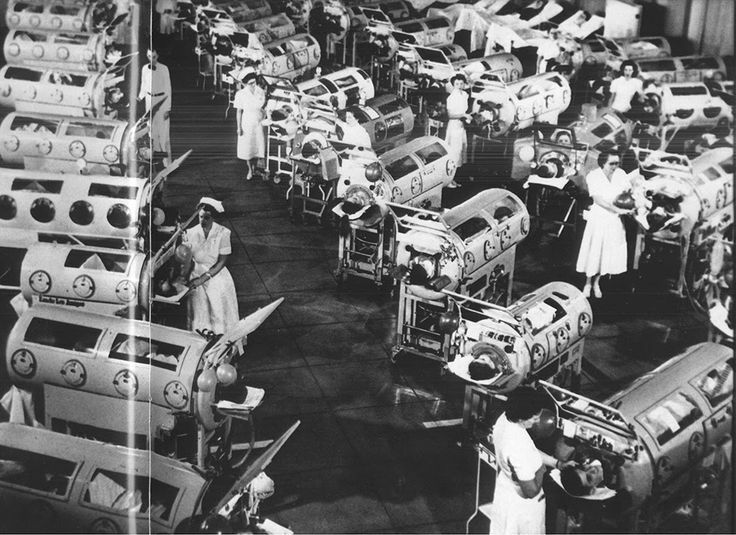 Children and adults suffering from polio would be encased in these “negative pressure ventilators.” Which helped lungs and muscles to keep pumping even after their illnesses weakened them. It works by lowering the pressure around the chest which expands the rib-cage so air can be drawn into the lungs. 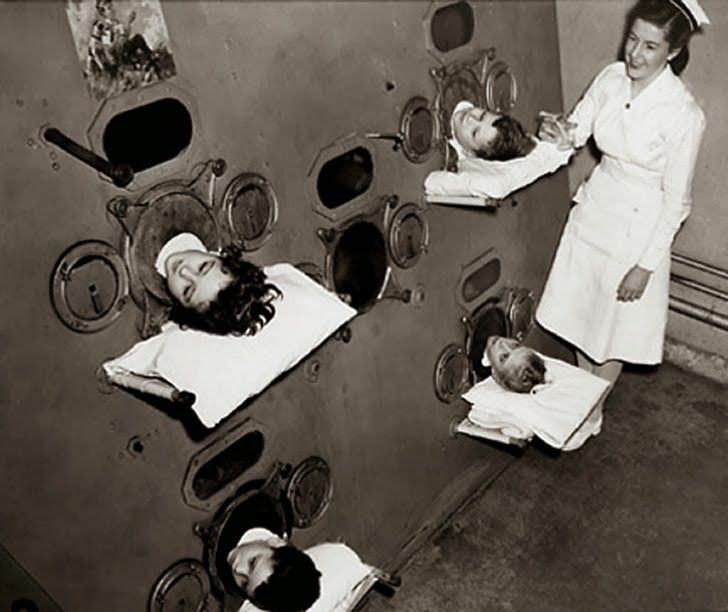 Forced to live in what was called a ‘torpedo’ – effectively a body-encasing iron lung – during his early years, he was forced to create his own ‘universe’ inside the confines of his hospital prison. His earliest memories are of ‘exploring’ the corridors of each ward in his wheelchair, wandering into the rooms of other children, his only toy being his imagination. Hot-headed patient giving you a hard time? Just grab a bunch of wool blankets soaked in cold water and wrap ’em up tight. No more squirming, no more fussing. A few hours left like that ought to cool ’em off. At least that’s what the nurses around the 1930s might have said in a mental hospital. 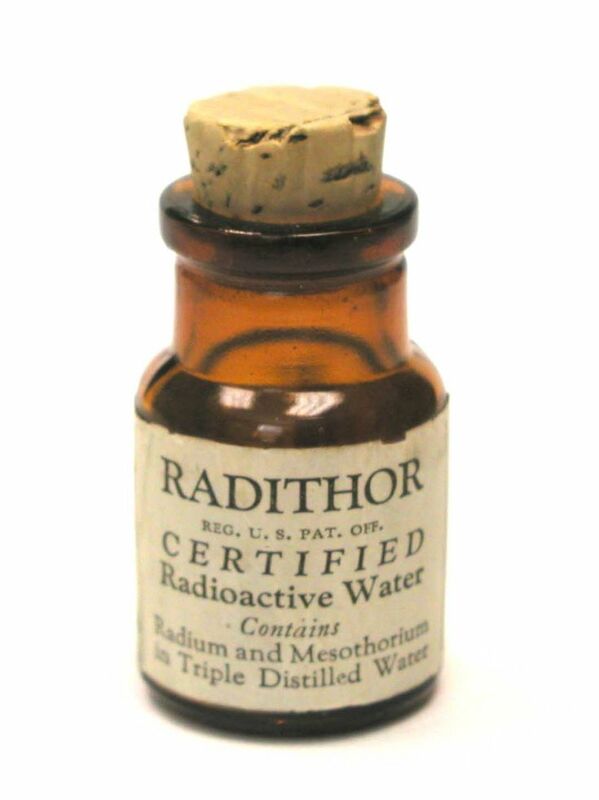 Back in the day (the 1920s to be more precise) radioactive water was prescribed by the bottle to cure what ails you. J.W.A. 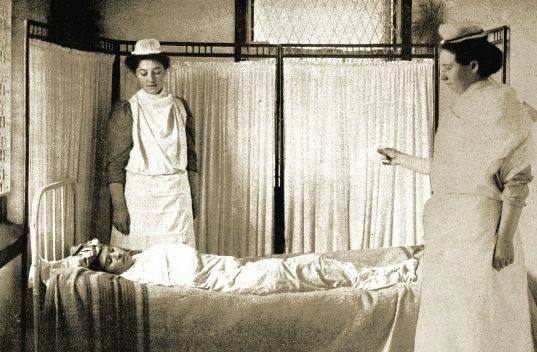 Bailey was one such company who coined the “living dead” slogan above. His claims of radium water’s benefits sort of bit it when one of his biggest long-time supporters, a Pittsburg steel industry tycoon, lost massive chunks of his jaw due to radium poisoning. 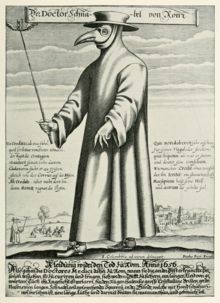 I think I find the plague doctor the most fascinating, because the whole outfit, (Wide brimmed hat, Bird-beaked mask, Red glass eyes, long black coat, and leather breeches) just strikes me as such a frightening image. I can only imagine becoming ill with the plague and managing to “chin-up” about it, until this monstrous doctor shows up. Once you see that figure leaning over you, suddenly you know it’s your death bed he’s visiting. That would be a sight to scare you half to death. It reminds me of a story my in-laws shared about when they were fighting their way through a bout of typhoid fever. My father-in-law, in particular, was so sick and thin during this you could have mistaken him for an under-stuffed scarecrow. So, because of his condition he would have a nurse stop by the house to give him a shot with a massive syringe everyday. He told me that he came to dread the click-click-clicking of her heels. One day, feverishly, he decided that enough was enough, the scary clicking lady wouldn’t jab him anymore! So he somehow managed to climb out of bed, grab a fire-poker, and wait behind his bedroom door for her to arrive. And when she did? WHACK! He conked her over the head. That scary nurse went running down the street crying he’d gone mad. She was ok, BTW. Alarmed, dismayed, and sporting a bit of lump, but otherwise fine. She never did come back though. A different nurse came to visit my father-in-law after that. On that happy note… I hope you all have a loverly weekend. And remember, no matter how bad it seems, at least you don’t have to cross paths with any of these treatments. This post was inspired by a link my good friend Mary P.K. Sent my way. Thanks Mary! That pest mask! 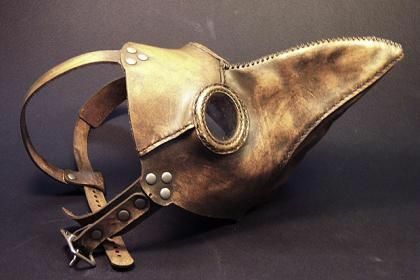 I remember having a book about diseases at home when I was little and being really scared about the pest mask!